Heat oil and garlic in a medium frying pan until just sizzling. 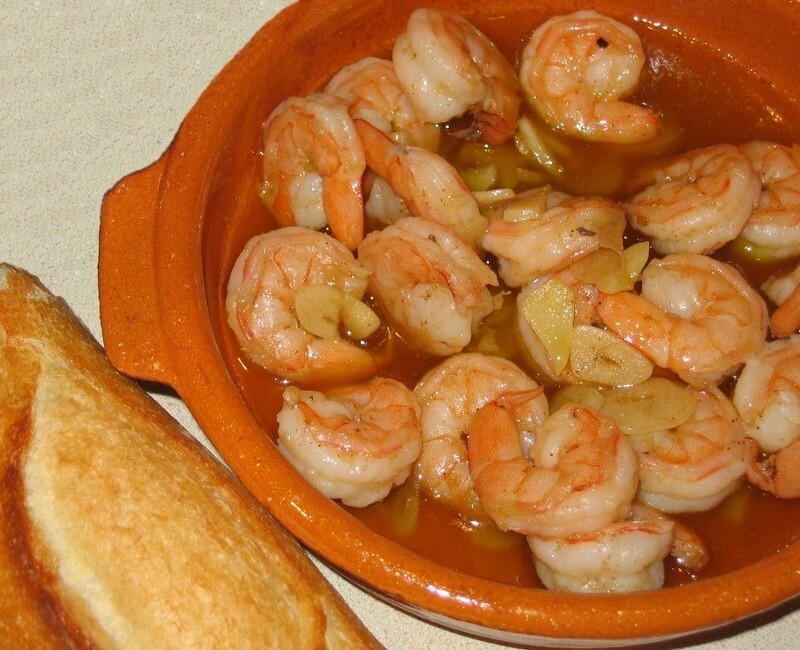 Remove from heat and let sit and infuse until ready to cook shrimp (a couple of hours). Reheat oil over medium heat until hot. Fry shrimp until pink and cooked through. Add wine, lemon juice, paprika, red pepper flakes, salt, and pepper. Remove from heat and serve immediately. Serve with plenty of crusty bread.